The Rohith Vemula suicide and Jawaharlal Nehru University (JNU) row continued to dominate the Rajya Sabha for the second day on Thursday, 25 February. While Suresh Prabhu presented the Rail Budget, the Rajya Sabha witnessed adjournments several times after the ruckus between the government and the opposition. While replying to one of the questions, HRD Minister Smriti Irani took on the Opposition once again. Rajya Sabha was adjourned for the day following the ruckus over the Durga-Mahishasura pamphlet issue. "Why is the minister (Irani) repeating what all is written in the Durga-Mahishasura pamphlet? What are we reducing the debate to?" Congress MP Anand Sharma asked. Irani quotes William Shakespeare with "Fair Is Foul, Four Is Fair." 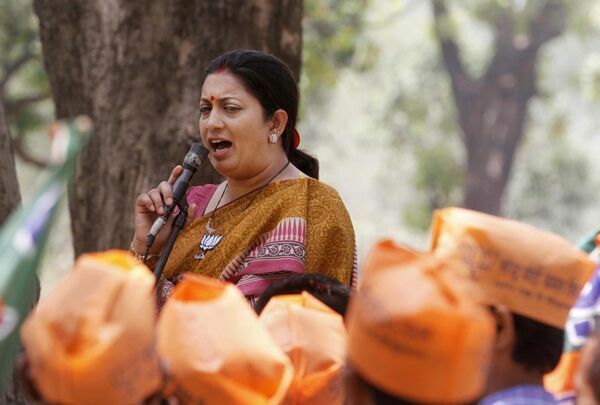 "There are many who call me an 'anpadh mantri' over my educational qualifications", says Irani.